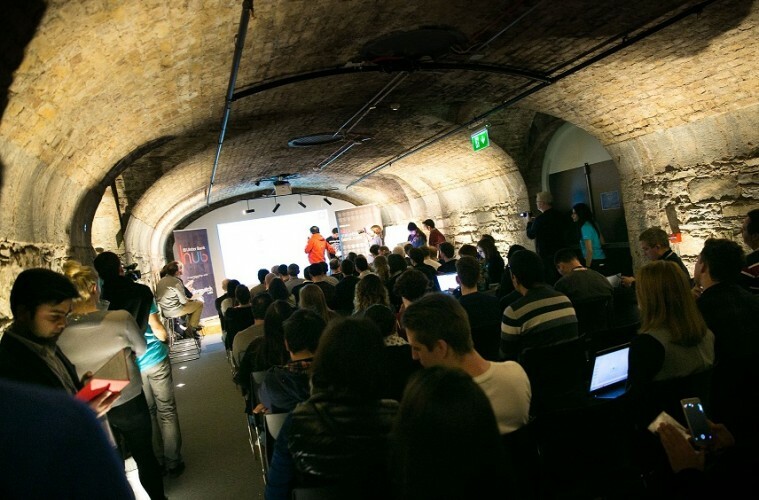 Ideas around ‘Going Dutch’, children’s finance and alternative banking cards took the top prizes at the Ulster Bank Hackathon held in partnership with the Open Bank Project at Dogpatch Labs in Dublin last night. The three-day event brought together coders, designers, mentors and other attendees to generate new ideas, solutions and prototypes to make the Bank stronger and more sustainable; to disrupt the established way of working through mobile and wearable tech, and social collaboration and to focus on design that places an emphasis on people and user experience. Pictured is Robin Marshall, CIO, Ulster Bank with “Go Dutch”, Rafael Santigo, Edmundo Frota, Diogo Henrigue, JB Neto, Jose Henrique Ventura, Leandro Iwai. Additional prizes were also awarded for youth-targeted idea (Save with Penny) and best technical achievement (Fit 4 Good and Stay Alert) over the weekend. Pictured is Robin Marshall, CIO, Ulster Bank with “Save with Penny” Valerie Yuskevych and Sohail Amin. Pictured is Robin Marshall, CIO, Ulster Bank with “Stay Alert”, Will Carmichael, Mark Enright, Jordan Burnett. Friday’s opening session generated a wide range of concepts which were then distilled into 14 ideas. The teams then worked throughout the weekend to develop software applications using a number of APIs including a prototype of the RBS API ‘Blue Bank’ and the Open Bank Project API system. Each group was mentored by technical, design, investor and other advisers from SWIFT, CurrencyFair, Bookbuzz, Zendesk, Each and Other, Temenos, RBS and Ulster Bank to help them to sharpen their ideas into a proposition to pitch to the judges on Sunday afternoon.